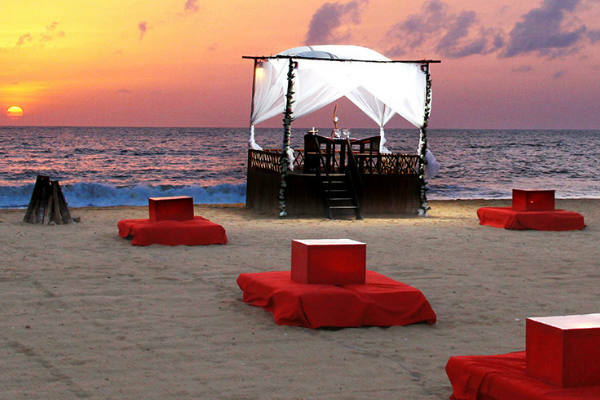 Jetwing Beach resort combines the epitome of Sri Lankan design with a tropical paradise setting. 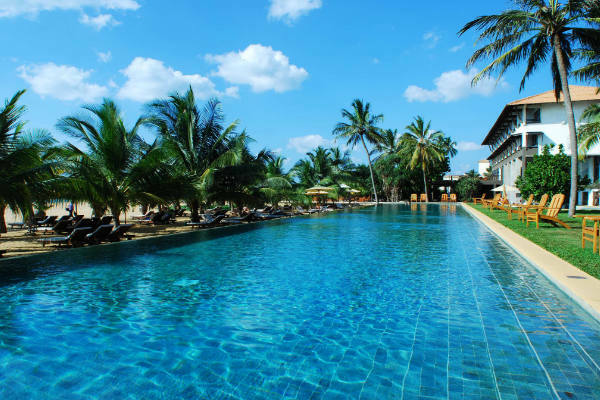 The golden sands of Negombo Beach are the closest neighbour to this luxury Sri Lanka holiday resort and provide a wonderful outlook from the stylish guest accommodation and lush palm tree filled gardens. As a member of the Small Luxury Hotels of the World portfolio, the hotel is proud to deliver high levels of service, culinary diversity and a plethora of on-site facilities. Unwind by the outdoor swimming pool or indulge in a massage in the exotic spa. Activity fans have access to a well equipped gymnasium along with windsurfing and volleyball on the adjoining beach. The fishing hamlet turned resort town of Negombo is a short bike ride away for a change of scenery. The Four-Star Jetwing Beach presents 75 Deluxe Rooms and three Suites. 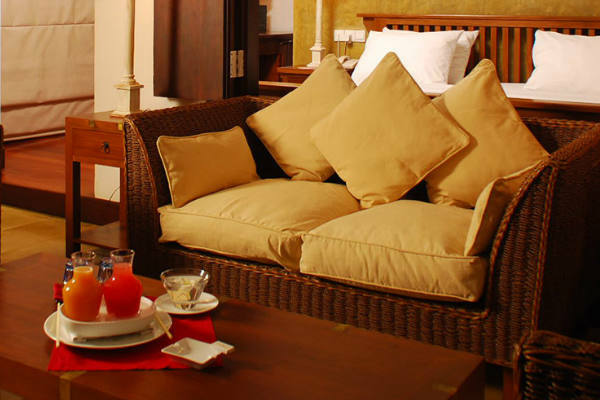 The traditional Sri Lankan decor of crisp white bedding, wooden furniture and tiled floors combines with all the modern comforts such as air conditioning, cable TV, DVD player and tea and coffee making amenities. Jetwing Beach has all of the amenities you'd expect from Four-Star hotels in Sri Lanka, including an outdoor swimming pool, indoor swimming pool, gymnasium, spa, two restaurants, cafe, bar, doctor on call, babysitting, DVD library, gift shop, beach volleyball, windsurfing, bike hire, catamaran trips, and complimentary Wi-Fi internet connection. Jetwing Beach presents a host of round the world flavours to tempt you in its on-site eateries and bars. The Sands restaurant offers the perfect combination of a la carte dishes and lavish buffets, along with seafood BBQs and a choice of drinks and cocktails. 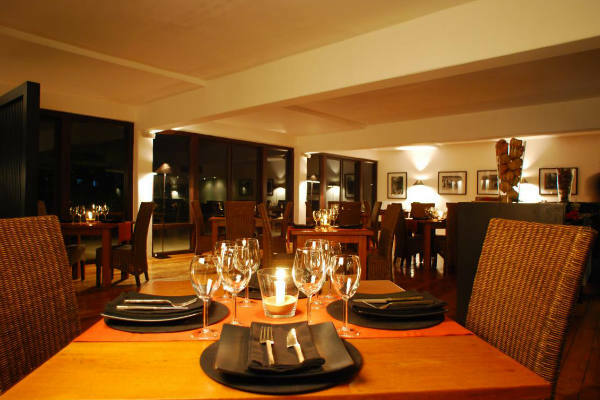 Sophisticated fine dining featuring East meets West and Sri Lankan cuisine is on the menu in the Black Coral restaurant. The laid-back Deck cafe serves up a selection of snacks, light meals, and hot and cold drinks by the sands. The Terrace Bar is open throughout the daytime and evening for a wide choice of fine wines and cocktails. Keeping up with your fitness regime is easy; the gymnasium is kitted out with all the latest machines for your morning workout. Take to the water on a windsurfing board, hire a bike and explore the local area, or join in a game of volleyball on the beach. An extensive list of Ayurvedic and traditional Sri Lankan body treatments and therapies are available from 9am to 8pm in the spa. 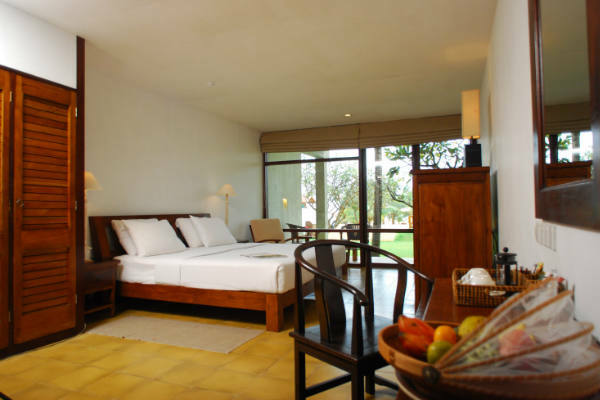 The luxury accommodation options at the Jetwing Beach consist of Deluxe Rooms and Suites. Deluxe Room highlights include large comfortable beds, a contemporary bathroom with rainwater shower, cable TV, DVD player, direct dial telephone, mini bar, safe, tea and coffee making facilities, and a private terrace with ocean views. Guide price is per person. Based on 2 people sharing for 7 nights on Bed & breakfast. Flying from regional airports. Year round departures. All overseas transfers included.